Welcome back to Part 2 on our blog series on literature about rivers! 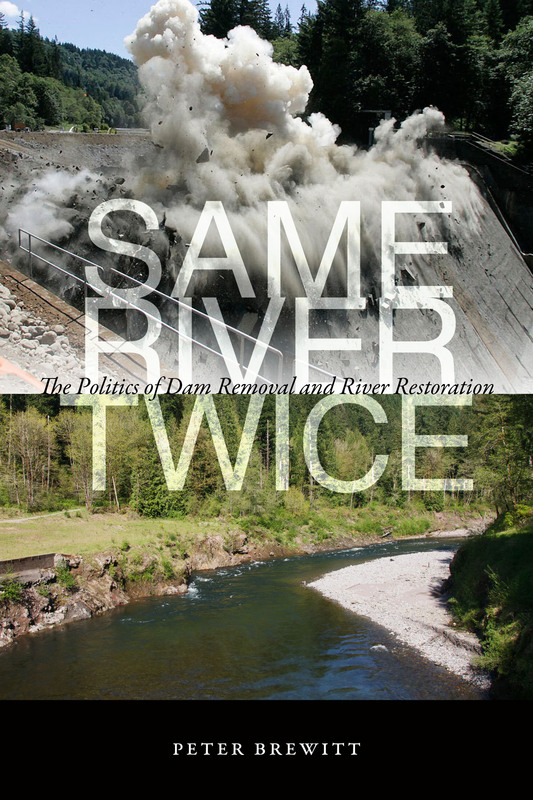 We're thrilled to feature this guest blog post by Peter Brewitt, author of Same River Twice: The Politics of Dam Removal and River Restoration. The neighborhood where I live in South Carolina is built around a lake, created by a dam. The pond down the street from my wife’s home in Vermont? Plugged up by a dam. The environmental studies center where I teach? Just below one dam, which hides another, older dam – we see it when the water’s low. This afternoon I biked through Columbus, Ohio, where I attended the American Society for Environmental History conference earlier this month. In a brief ride I saw two dams. Your own streams are surely dammed-up as well; there are 2.5 million dams in this country. If you want to find your own dams, you can check out the Army Corps of Engineers’ map. But the Army Corps only includes about 4% of dams, so keep your eyes open. It may take some effort – our local dams are so routine that we often don’t notice them. But they shape the waters around us. Along with turning streams into lakes, dams stop silt from going downstream, fish from swimming upstream, and water from flowing naturally. They are one-stop shops for ecological destruction. Now, to be fair, dams can be useful tools, and every aspect of human life has some environmental impact. But dams, for the most part, are no longer offering much benefit in return for the costs they put on nature. 80+ percent of them are past their useful lives. So we’ve started taking them out. For most of the 20th century, dam removal was crazy, the province of radicals and novelists. Why, people asked, would anyone take out a dam? Dams were progress and prosperity and civilization. Most people didn’t think about the environment very much, and those who thought about it didn’t have much power. Now in the 21st century, nearly a thousand dams have been removed, 69 of them in 2018 alone, according to NGO American Rivers. People are coming to realize that old dams and degraded rivers don’t need to exist forever. But in many places, dam removal is controversial. There are plenty of people who loved the dammed water-scape, and plenty of people who still can’t believe anyone would take out a dam. The politics of dam removal – the ways people fight for and against their dams – are dynamic and passionate. There are few laws about old dams, so people who care about their rivers, and their dams, are creating a new political landscape, and a new part of river history, as they go. In Same River Twice, I tell stories of three major dam removals and the people who made them, as part of the larger story of America’s rivers. The story continues to evolve. In 2018, dams came out all over America, from Georgia to Minnesota, from Maine to California. And in Columbus. Just a little downstream of the last little dam I saw, on the Scioto River, is a dam removal site. Above it stand the skyscrapers of the city’s busy downtown. Below them, the river’s returned to its natural channel, and the banks are lushly recovering. Along the bike path are signs sharing the history of the Scioto and some semi-technical discussion of its restoration. The Scioto River runs freely through Columbus. Learn more about the politics and history of dam removal and purchase Same River Twice here! PETER BREWITT grew up in Bangkok, Thailand, and East Alton, New Hampshire. After majoring in history at Dartmouth College, he spent five years as a naturalist, primarily in Yosemite National Park. He received his PhD in Environmental Studies from the University of California, Santa Cruz, where he focused on environmental policy. He is now a professor at Wofford College, where he teaches and conducts research about the politics of ecological restoration. Same River Twice is his first book. Here at the OSU Press office in Corvallis, we’ve been watching the high flows on the Willamette this week and rivers are on our mind. Today we’re featuring three recent Press books that tell the story of rivers, in Oregon and around the world. egon river, and the communities and ecosystems that live alongside it. A must read for Oregonians and all interested in the health and protection of rivers. 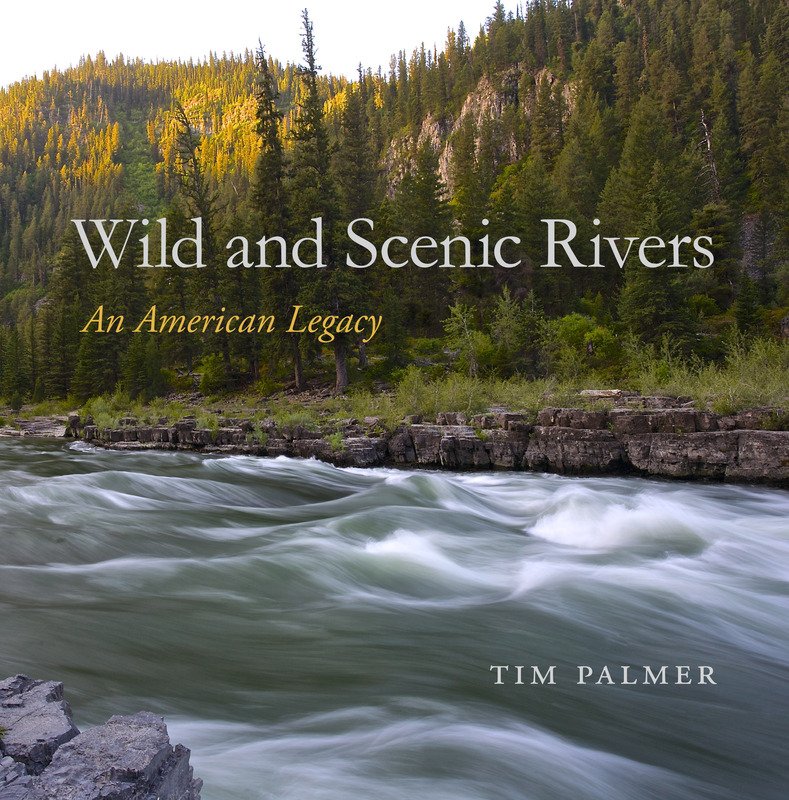 Author and photographer Tim Palmer shares 160 breathtaking images of rivers in this book. All the rivers depicted are protected under the National Wild and Scenic Rivers Act of 1968. In addition to highlighting their beauty, Tim investigates the importance of these rivers and the challenges they face. Also, several of the photographs from this book were recently made into postage stamps! Read more about this story and hear from Tim on the importance of these rivers in this blog post. Using case studies from rivers in the Pacific Northwest, Peter Brewitt explores how dam removals, politics, and public policy intersect. This book is perfect for scholars of environmental politics, wildlife and public land professionals, and environmental activists. Peter Brewitt will guest blog and focus on dam removals. Stay tuned for Reflecting on Rivers, Part Two. We were thrilled to debut this new book at AWP 2019 in Portland and excited to share that it is available for purchase online. My parents’ house, which they built in 1960, was a tiny, white, Modernist tract house constructed from sturdy materials, trimmed in green, with clean, plain lines, and overall an expression of practical, affordable design. Situated at the middle of a crabgrass lot, it fronted the bucolically named Pleasant Place, one lot north of forests and marshes that on summer nights erupted in choruses of frogs. Standing on my bed and looking through the casement window screen (why were windows always placed so high on the walls of houses built in that era? ), I looked out into darkness hallucinatory with fireflies and the Milky Way. In a recent dream, I moved back into that house decorated as it was in 1960: sleek Danish-style furniture, Fauvist and Cubist prints, the RCA Victor console stereo with its collection of LPs by Johnny Mathis, Peggy Lee, Sammy Davis Jr., and Nat King Cole. The accretions of over fifty intervening years of my life fit comfortably, if improbably, within the dream of that tiny house. Early in his classic exploration of the home, The Poetics of Space, Gaston Bachelard dwells on the way the intimacy of childhood spaces persists throughout our lives, especially in reveries. Lost in daydreams, we don’t so much inhabit the memory of our childhood home; instead, we live in its absence as we once dreamed in its presence. I’m inclined to agree with this, though it’s the houses not lived in as a child but visited and departed with an unusual feeling of well-being that interest me now. That tract house my young parents built, and occupied as briefly as their marriage endured, always seemed untidy and cramped, at first full of manias, then a long bleak period of grief. It was quite the opposite of the houses of some of the family and friends we visited. Those houses always seemed aglow with the calm light of a November afternoon just before it begins to snow. Or in the oppressive humidity of an Ohio summer, those rooms remained cool, full of shadows the color of polished oak. Without exception, those were Craftsman houses. The heavy front doors or foyers of Craftsman houses open into living rooms with large stone hearths, the many-lighted and beveled-glass windows, dark and heavily grained woodwork, built-in cabinets with glass-paneled doors, dining rooms with large bay windows, and the sight-lines of one room opening into another, creating the illusion of spacious luxury. The walls above the wainscoting were often painted in pale green that contrasted with the dark-grained woodwork, intended to harmonize with the natural world. These were houses designed with such a deep sense of spatial balance, intimacy, and structural integrity it’s hard to believe today that they were the typical homes of many working-class and lower-middle-class families in my hometown. That such houses could be purchased as kits and built quickly, often for less than a thousand dollars, is mind-blowing. After more than a generation of shipping manufacturing jobs overseas, wage stagnation, the destruction of labor unions, and tax redistribution that transfers wealth upwards, today such working- and lower-middle-class families are lucky to be living in trailers or suburban ticky-tacky; lucky, that is, if they aren’t living in their cars, the homeless and dispossessed refugees of post-modernity. Many of these same Craftsman houses now sell for as much as half a million dollars, even during the Great Recession we’re only now coming to the end of. At the height of its popularity, though, such architectural design was an expression of socialist idealism and respect; namely, the belief that all segments of society had access to domestic space that, at least in its design, nurtured the souls of its inhabitants and brought them into greater harmony with the natural world. That’s a lot of wishful thinking, and it would be folly to imagine such an ahistorical reality existed; but as an ideal, as an aspiration, I’m all for it now, and even as a child, sensed its power. In her survey of social reform aesthetics, “House and Home in the Arts and Crafts Era: Reforms for Simpler Living,” Cheryl Robertson quotes Kate Greenleaf Locke from a 1907 issue of House & Garden: “[Craftsman design] appeals to a wide circle and several classes. . . . there is yet in its atmosphere a delightful flavor of Bohemianism and the liberty and originality that camp life and studio life permits.” Robertson concludes: “the bungalow combined the attributes of taste, rusticity, and economy . . . [and applied them] to the villa, farmhouse, and cottage . . . [a] democratization of domestic architecture [that is] evidenced in ‘classless’ bungalows.” That’s surely a more thoughtful idealism about how we might occupy space and has proven far more durable than most contemporary, postmodern spaces. Many corporate spaces and post-war apartment blocks, by contrast, particularly those remnant examples of Brutalism, compound error upon error and become, in the critique of Christopher Alexander, forbidding “reservoirs” of stress. Such poured concrete, bunker-like buildings seem designed to allow for little else than the possibility of siege. In the summer of 2002, I visited a friend in Billings, Montana, who lived in a neighborhood like many in the American West, dating from the 1920s and full of Craftsman houses. His house, located near a corner on a narrow lot along a leafy street was, he stipulated, a “Craftsman cottage.” Inside were two bedrooms in which the original family raised five children. There were a multitude of kitchen cabinets, built-in bookcases in the half-walls between dining and living rooms, and wainscoting and hardwood floors. Filled with his sturdy antique furniture, it felt cozy inside despite the enormity of the Great Plains stretching north, south, and east for a thousand miles beyond the horizons. During that visit, we rose early one day and drove to the mountains above Red Lodge. The light that July morning in the Rocky Mountains filtered down through lodgepole pines. We slowed as we passed through a cluster of structures, a pre–Great Depression “camp” below the Beartooth Plateau, where we intended to spend our day hiking. Scattered throughout the dense trees above and below the dusty road were a dozen or so tidy cabins and outbuildings constructed from materials available in the surrounding forests: unpeeled pine logs, river cobbles, and mud. The screened windows, porches, and doorways, and the rolled green asbestos roofing, recalled an era deep in the past, the world of my grandfather’s coming of age during the Great Depression. It was a moment when citizens briefly shared a belief in our egalitarian national destiny. Call this again what it is: an ahistorical claim. Nevertheless, it’s the lens through which I was taught to perceive my country’s ideals, if not its reality. We passed by the camp so quickly, all I can recall with any clarity was a single fastidious cabin just above the road on the passenger side. It seemed more like a playhouse than a cabin. It was so tiny that it would have allowed just enough room for a bunk, maybe a bench, and a small stove on the front porch. Whoever had spent summers living there, I imagined, spent most of their days outdoors. When these cabins were built, only the most rudimentary road or, more likely, trail would have existed. Getting into that canyon would have required a good deal more effort than we made driving there in little more than an hour from Billings. These were very resourceful sojourners. Whoever they were, I immediately assumed I wanted to know them. That tiny camp in the immensity of a Montana canyon, like my friend’s cottage back in Billings, seemed an unlikely confluence of egalitarian ideals and domestic intimacy, a reservoir of calm and comradeship, at ease with the natural world into which it was unobtrusively tucked away. The Eclipse I Call Father is available to purchase online here. DAVID AXELROD is the author of eight collections of poetry, most recently The Open Hand and Folly, both from Lost Horse Press, as well as a previous collection of essays, Troubled Intimacies: A Life in the Interior West (Oregon State University Press). He is the editor of Sensational Nightingales: The Collected Poems of Walter Pavlich and the award-winning basalt: a journal of fine and literary arts, as well as the director of Eastern Oregon University’s low-residency MFA in Creative Writing. In the spring of 2019, he joined Lynx House Press as its managing editor. We’re celebrating Women’s History Month by sharing powerful stories by and about women from our recent titles. 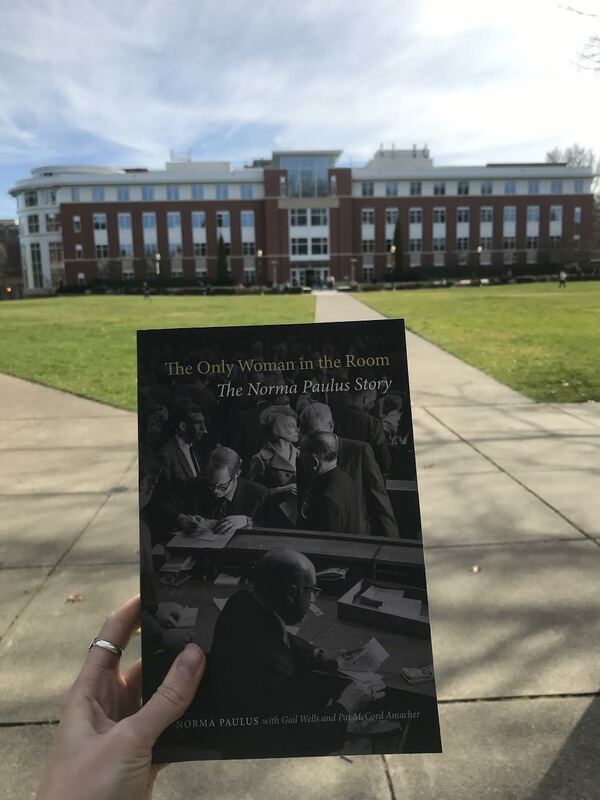 The Only Woman In the Room: The Norma Paulus Story is an inspiring look at the life and work of Norma Paulus, the first woman to be elected to state-wide office in Oregon. This book follows Paulus’ journey, which includes surviving polio, graduating from law school with honors despite not having a college degree, running for governor, and being elected Secretary of State. Paulus, who recently passed away, left behind a powerful legacy in Oregon politics. 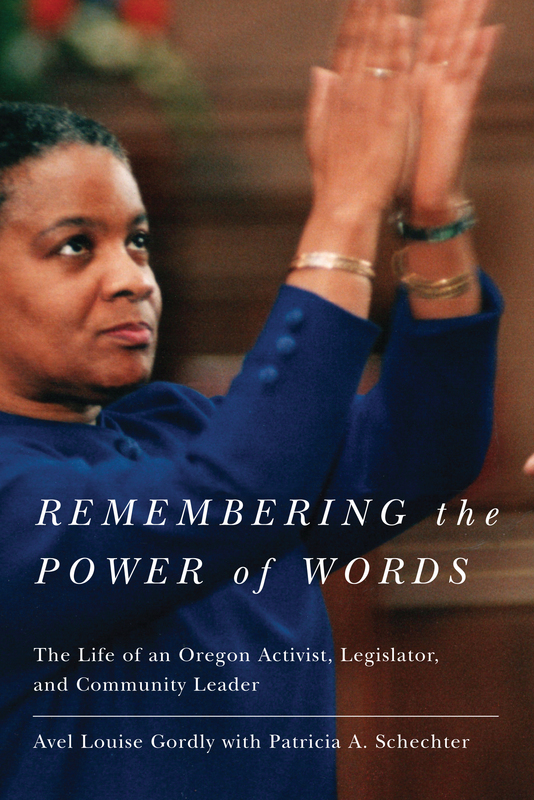 Remembering the Power of Words: The Life of an Oregon Activist, Legislator, and Community Leader tells the powerful story of Avel Louise Gordly, the first African American woman to be elected to the Oregon Senate. Throughout her career, Gordly worked to confront and renounce Oregon’s racist history. Her work and words will continue to inspire generations to come. Read more about Gordly’s legacy in our recent blog post. Beyond the Rebel Girl by Heather Mayer sheds light on the important roles that women played in the Wobbly movement in the Pacific Northwest. Counter to the popular perception of International Workers of the World members as being mainly male, women were instrumental in Wobbly life and fights for justice. To learn more about Beyond the Rebel Girl, you can read our recent interview with Mayer. 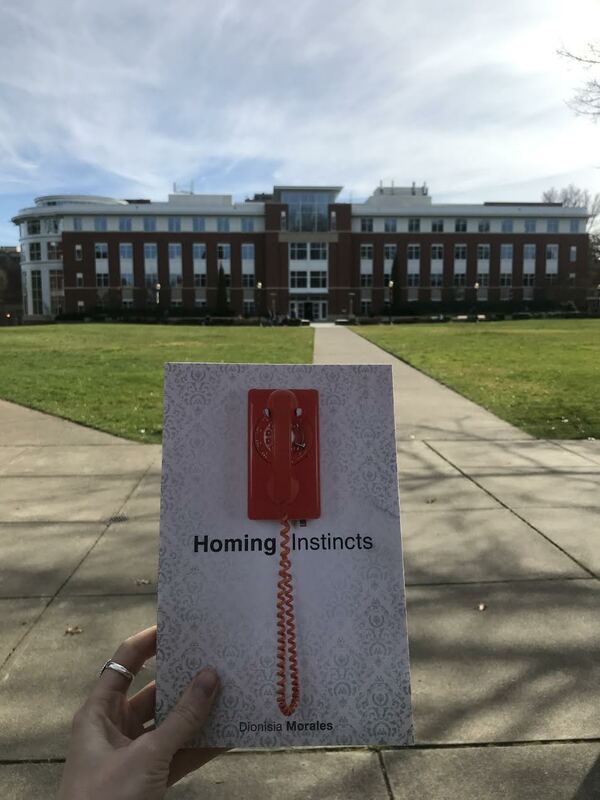 Homing Instincts features essays by OSU MFA alumnus Dionisia Morales that investigate ideas of identity and home. Ranging from topics like rock climbing to love, and geography to pregnancy, Morales wonders what it means to belong in a world in which migration and social integration present urgent political and ethical questions. Homing Instincts is a finalist for the Oregon Book Awards for creative nonfiction. In our current age of environmental unbalance, Stephany Wilkes weaves a fascinating and timely account of the origins and importance of a resource present in all of our lives. Wilkes shares her story of becoming a certified sheep shearer along with the ecological concerns of the textile industry in Raw Material: Working Wool in the West, which made the longlist for the Northern California Independent Booksellers Association (NCIBA) 2018 Golden Poppy Award. Today on the OSU Press blog, we are looking at an important conversation that is happening in community-based research. In Giving Back: Research and Reciprocity in Indigenous Settings, R.D.K. Herman pulls together twelve case studies in order to provide ways for researchers to move forward while working ethically in partnership with communities, and to identify areas where there is still work to be done. Below, read excerpts from contributor Maria Fadiman and R.D.K. Herman on the ethical issues researchers face when trying to give back to the communities in which they work. “Are you making a million dollars?” Don Jorge asked. “Then why are you doing it?” he asked. That was a good question. Why do I do what I do? I am an ethnobotanist studying the relationship between plants and people. My overall goal is to promote conservation and cultural retention from within communities. Through helping local people maintain their own plant knowledge, this can lead to a more concrete re-connection to the plants themselves and raise the value of the ecosystems in which these plants live. One of the issues I need to address on every project is: how do I compensate people for the time they take out of their daily schedule working with me and sharing their information? As Maria’s story illustrates, those of us who conduct field research in Indigenous settings know that our success depends upon the assistance, cooperation and even aid of peoples in those communities. The framework and methods of research have historically encouraged an extractive approach to data collecting: the researcher goes in, obtains the data and leaves, returning nothing to the community, and sometimes even publishing or patenting knowledge and “discoveries” derived from the local informants to the detriment of the local people. While newer research methodologies recognize that this is exploitative, and have developed approaches to at least engage the local communities as partners in research projects, the notion of reciprocity in research is slower to take root. Especially for those of us who engage closely in the lives of the peoples we work with—building relationships for the short, medium or long term—we have to negotiate these relationships constantly. And particularly in Indigenous communities, that involves giving. The act of reciprocity in Indigenous research involves a cross-cultural encounter wherein two (or more) sets of values, senses of obligation, social rules and ritual protocols collide. Western notions of individual ownership and intellectual property come up against Indigenous notions of collective ownership—or no ownership, for how can certain things be owned by anyone?—and responsibility. The growing field of Indigenous Studies recognizes that as scholars—whether Native or non-Native—we are entering into a relationship with a community and its members that is rooted in trust, responsibility, integrity, and genuine concern for the wellbeing of that community and its knowledge and traditions. Meanwhile, Native communities themselves are increasingly demanding more say over or about the nature of research projects in their communities and on their lands, and are willing to say No to projects that do not clearly serve their interests. The aim o f this volume is to discuss how research with communities can better accomplish reciprocity with those communities. Despite recent university and professional-association ethics policies, individual researchers must define for themselves what the quality and nature of their relationships will be with the communities with whom they work. They must ask themselves, What does reciprocity look and feel like in my working relationships with communities? What institutional barriers must be navigated in efforts to develop reciprocal relationships with community partners? How do you know when the outcomes of a research project have upheld your ethical obligations or goals of reciprocity? How do you navigate the unequal power relations inherent in academic research with Indigenous and “other” communities, in defining appropriate ways of ‘giving back’? How can research be mutually beneficial, given the historical and ongoing relationships of power in centers of knowledge production? How are the multiple perspectives within an individual community navigated in efforts to ensure positive outcomes for research partners? Even for researchers who are members of the communities with whom they work, ‘giving back’ may present unique challenges and opportunities. Can research itself be a form of ‘giving back’? Many of us are never sure whether our attempts at reciprocity got it right, so this volume turns to those who have had more experience in this matter, or given it more thought, or engaged in innovative practices to create different paradigms from that of extractive research. There is much more that can be said on this topic, and this is not a cookbook or a how-to. Yet we hope that some maps to this complex territory may emerge. 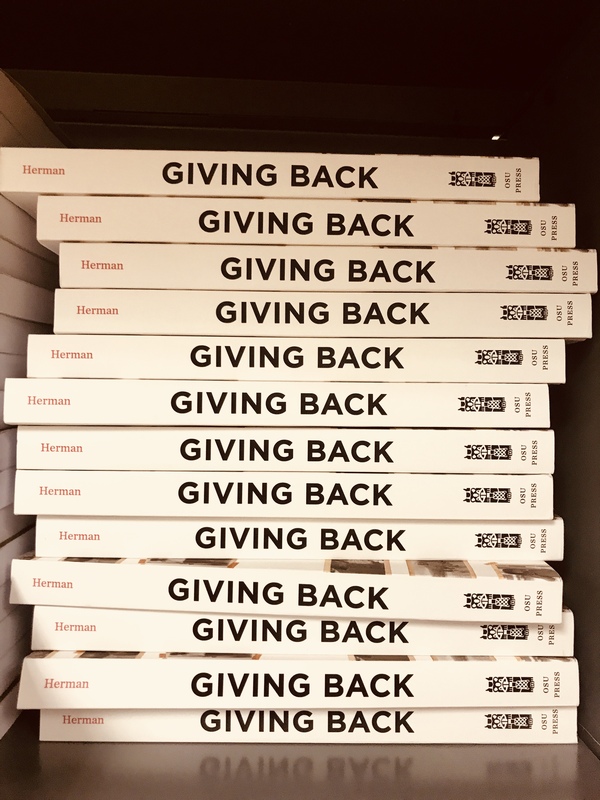 Pick up a copy of Giving Back: Research and Reciprocity in Indigenous Settings and learn more about the work that is being done to address unethical relationships between researchers and communities. RDK Herman is senior geographer at the Smithsonian National Museum of the American Indian. He has served the Indigenous Peoples Specialty Group of the Association of American Geographers since 2000, and has authored work on decolonizing research methodologies. In 2000 he created Pacific Worlds, a web-based indigenous-geography education project for Hawai‘i and the American Pacific. It’s a wonderful time to be a writer or reader in the Pacific Northwest! It’s March 1st, and in just a few short weeks the Association of Writers & Writing Programs will take place in Portland from March 27–30. We at OSU Press are thrilled to be part of this annual literary celebration along with several of our authors. OSU Press authors in conversation! On Saturday, March 30, OSU Press author Ana Maria Spagna, author of Potluck and Now Go Home, is moderating the panel “Back to Basics: Untangling Environmental Stories”. OSU Press authors Sharman Apt Russell, author of Diary of a Citizen Scientist, and Stephany Wilkes, author of Raw Material, will be a part of this conversation with Ana. The panel description: Writing the "environment" often means telling stories of people trying to fill basic needs—food, water, clothing, and shelter—in healthy and sustainable ways, but doing so also means tackling complicated issues of politics, race, gender, and work. This panel addresses how nonfiction writers can craft compelling stories that embrace this complexity. Panelists will discuss approaches to research, strategies for structure, ways to integrate sources, the role of the “I,” and the possibility of hope. Visit us at the Bookfair! 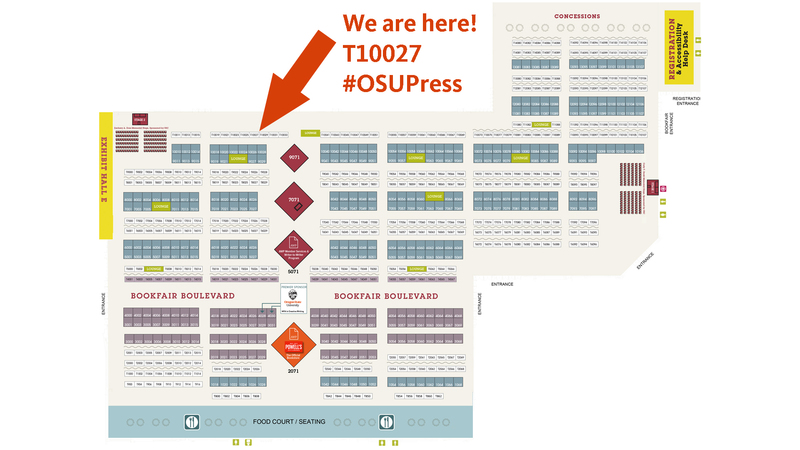 Stop by the OSU Press booth at T10027 in the Bookfair to say hi! We’ll have sweet treats, books for browsing, and authors to meet. We’ll be bringing lots of books for sale and perusal at the Bookfair. Check out a few of the titles you'll see at our booth! We will be in touch in the coming weeks with even more ways to participate and connect. Let the countdown begin, and see you soon! During the most recent midterm elections, there was a record number of women and diverse candidates who were elected into office. In light of these results and in honor of Black History Month, we'd like to highlight Avel Gordly, the first African- American woman elected to the Oregon State Senate. Gordly served three terms as a member of the House of Representatives, and was elected as State Senator in 1996, retiring from her position in 2008. During her time in office, she worked on tasks forces and committees as well as on legislation. In her foreword for Remembering the Power of Words, Charlotte B. Rutherford highlights that Gordly worked to remove racist language from Oregon’s constitution, renounce Oregon’s legacy of institutional racism, proclaim Juneteenth a day for statewide celebration, and require every county police force to be trained in the use of appropriate deadly force, among other essential political work. To learn more about Gordly and Remembering the Power of Words, you can read an excerpt of the book here. Remembering the Power of Words is part of a OSU series that highlights women and politics in the Pacific Northwest. Oregonians in search of a fascinating ecological history need look no further than the first book describing the causes and implications of the pollution of the Willamette River. This major Oregon river’s history of pollution and ongoing rehabilitation has affected local communities and ecosystems. In Speaking for the River, independent historian James V. Hillegas-Elting takes a close look at this ‘blot’ on the record of a state known for its commitment to environmental protection. 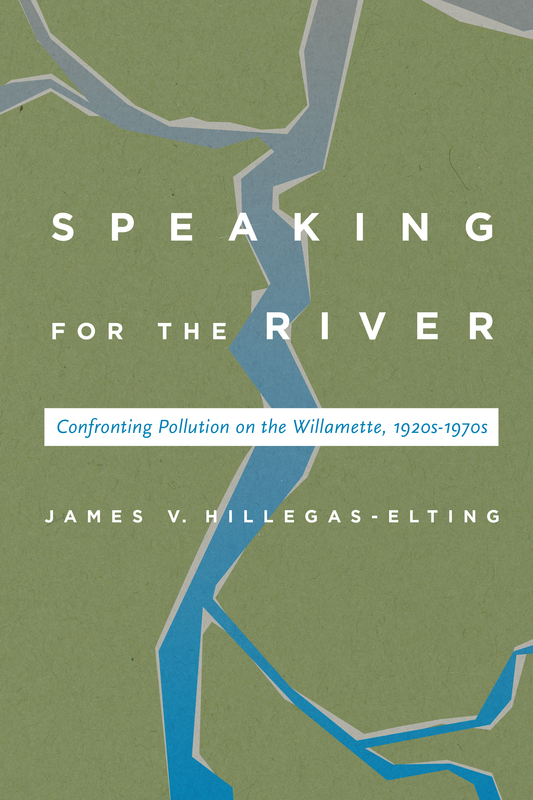 Hillegas-Elting’s history of the iconic and imperiled Willamette focuses on the period starting in the 1920s through governor Thomas L. McCall’s push to clean up the river. Though progress has been made, protecting river quality, like love, takes constant care and maintenance. The California condor once soared the skies of the Pacific Northwest, from northern California to British Columbia. While some people may not think agree that this bird of prey is gorgeous and glorious, we definitely do and this year, we choose the California condor as our true Valentine. In order to learn more about our scavenger Valentine, we’re revisiting California Condors in the Pacific Northwest. This book explores cultural relationships between Native American tribes and condors, investigates the condor’s history from prehistoric time to the early twentieth century, and evaluates potential causes of regional extinction. It’s a must-read for anyone who loves the California condor as much as we do. Field Guide to the Grasses of Oregon and Washington: an illustrated guide to all 376 species, subspecies, and varieties of grasses. Read more about the book here. Same River Twice: The Politics of Dam Removal and River Restoration: three case studies of major Northwestern dam removals that share lessons for communities worldwide. The OSU Press team in Corvallis, Oregon is anticipating some very snowy days are on their way this week. Our Griffis Interns Zoë and Carolyn prefer to spend cold afternoons inside with a good book. Check out their snow day reads below, and stay safe and warm when the snowflakes start falling! 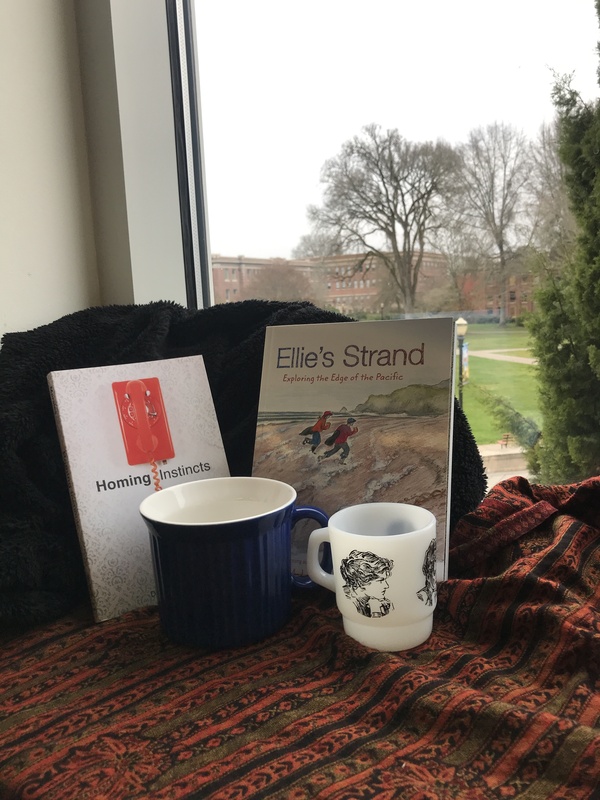 Homing Instincts is a wonderful read for a snow day when you might be imagining the spaces you call home, whether near or far away. This book is also longlisted for an Oregon Book Award! Congrats, Dionisia. If you’re looking for a children friendly book for the cold days ahead, I suggest Ellie’s Strand: Exploring the Edge of the Pacific. While staying warm indoors, children can read a story set outdoors on a later winter day. The book focuses on Ellie and Ricky who travel to the Oregon coast, help with a one-day beach clean-up, and discover much about animals and tidepools. Through Ellie and Ricky’s outdoor adventures, the story explores ocean conservation and the power of volunteering. Ellie’s Strand is beautifully and charmingly illustrated that may inspire young readers to sketch and draw. This book is a wonderful way to stay cozy inside and still enjoy the beach! Although it’s still winter, we are looking ahead to Spring and all that the new season brings: blossoms, brightness and books. Yes, books! We’re excited about our forthcoming releases and our Spring catalog is available now. 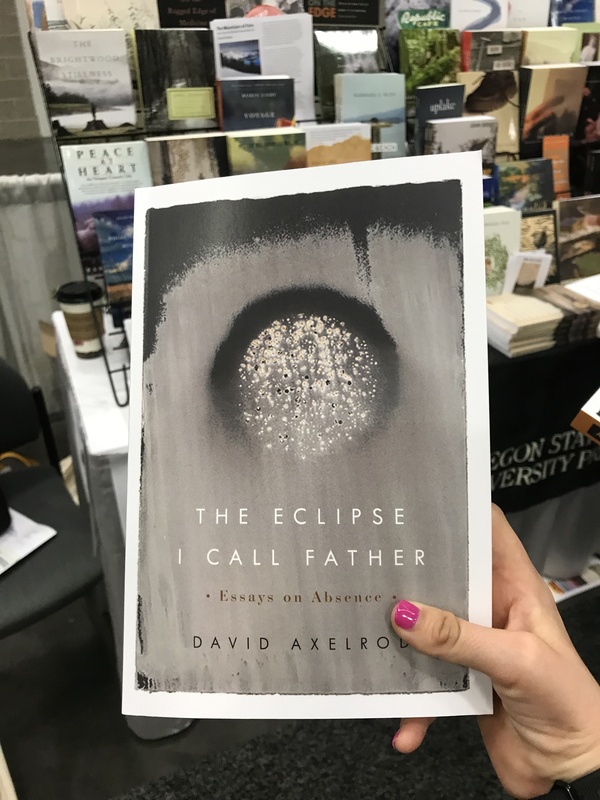 The catalog highlights The Eclipse I Call Father, an essay collection on absence, Same River Twice, an examination of the politics of dam removal and river restoration, Edge of Awe, an anthology of personal impressions of the Malheur-Steens country, and many more. 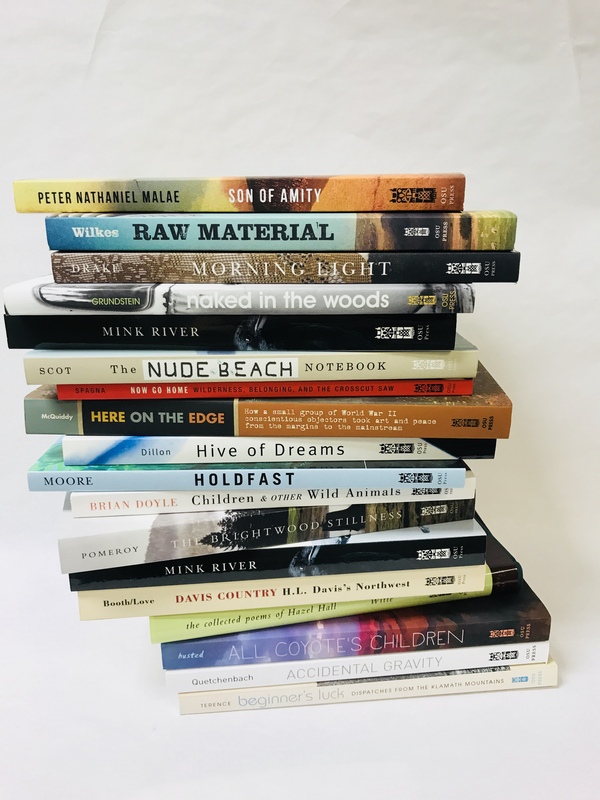 Today on the blog, our Griffis Publishing Interns each highlight a Spring book that they are looking forward to reading. This spring I’m looking forward to spending more time outside enjoying the beautiful Oregon outdoors, and the OSU Press Spring Catalog features a book perfect for my interest in the botanical culture of the Pacific Northwest. 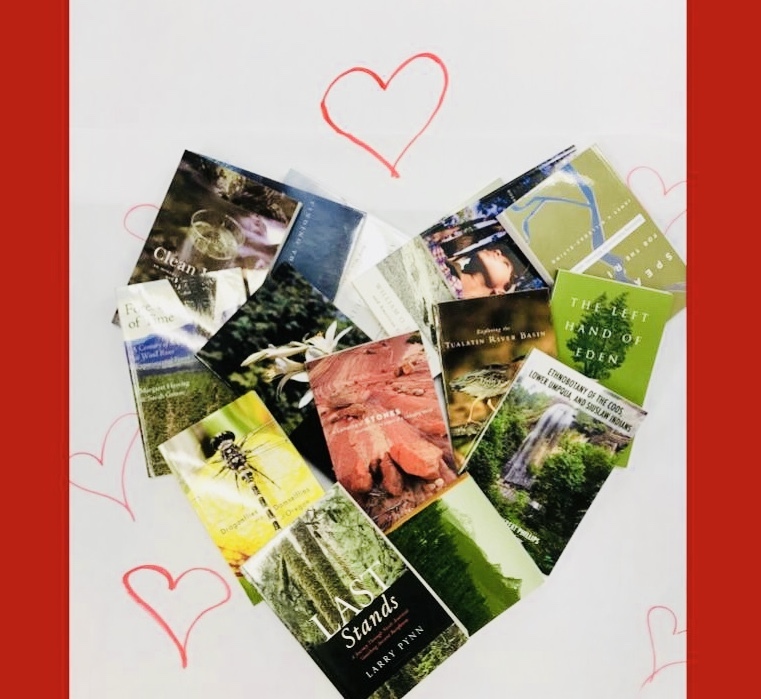 Gifted Earth: The Ethnobotany of the Quinault and Neighboring Tribes does more than help readers identify regional plants: it also promotes a sustainable relationship between readers and the environment. This respectful and balanced attitude towards plant usage is a core value of the book. Collaboratively written by the Quinault Indian Nation and Douglas Deur, Gifted Earth captures the beauty of the plants it describes in over 80 color photos. Each of the descriptions of the plants shared in Gifted Earth features a summary of the plant’s cultural significance and tips for gathering and using the plant. Throughout these entries you will find writing on ethical plant usage guided by Native American resource management principles, touching on issues from land access to Native American gathering rights. 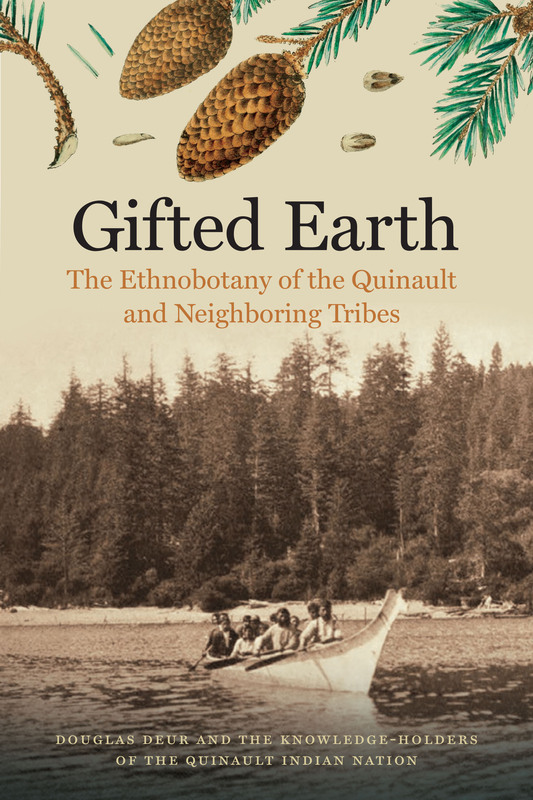 Gifted Earth is as fascinating and comprehensive as it is user friendly, guiding readers through the foliage and into a new understanding of the living tradition of plant use in the Quinault Nation. This academic year I became slightly more involved in the Coalition of Graduate Students, a union at Oregon State University, and also read Beyond the Rebel Girl, a narrative that examines the role of women in the Industrial Workers of the World in the Pacific Northwest. Now I find myself interested in learning about the past and present state of unions and radicalism in the Pacific Northwest. 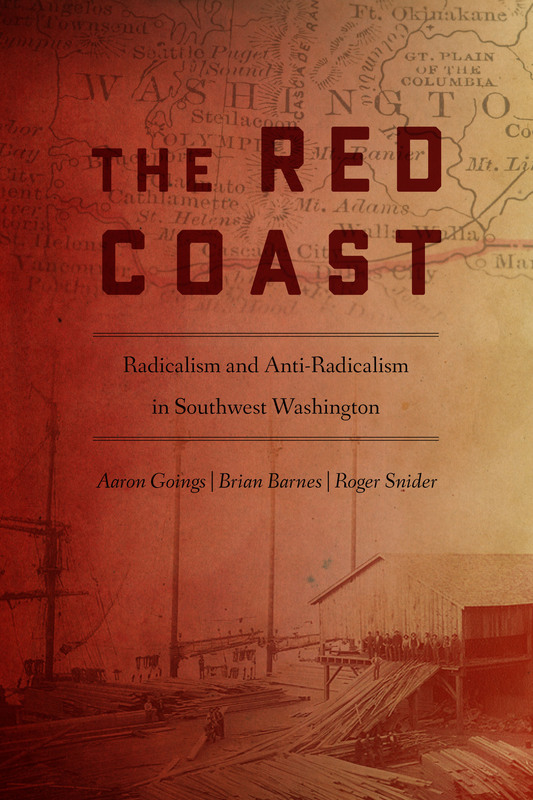 This Spring, I am very much looking forward to the release of The Red Coast, a thorough and accessible history of activism in Southwest Washington from the late nineteenth century until World War II. While the book highlights radicalism, it also delves into anti-radical forces that fought against the work of organizers. I’d recommend The Red Coast to both academics and general readers who are interested in histories of activism and labor.